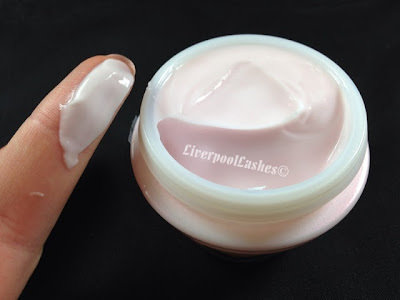 Today I wanted to talk about one of my new favourite moisturisers. Now when I say "new favourite" - please don't take this as I find a favourite every other week - it's quite the opposite. For a long time I've struggled with combination oily skin. I found that I had an oily T zone but yet when I got out of the shower and my face dried my forehead was so tight and itchy that it was such an unpleasant experience. I have searched for years for a moisturiser that actually works, alot that I have tried could not relieve that tight feeling. The only one I have found is the Clinique Moisture Surge Extended Thirst Relief which is brilliant and I have purchased it for years. 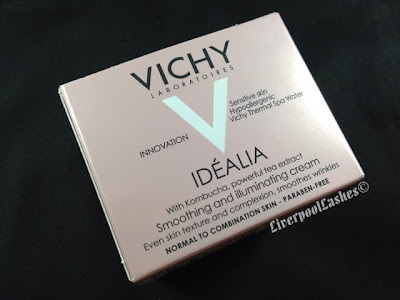 Like all beauty addicts I'm always keen to see if I can find a better one / more budget friendly alternative and after an extremely poor month I came across a sample in a GlossyBox that I decided to try out. Introducing the love of my life (moisture wise!) Vichy Idealia Smoothing And Illuminating Cream. The texture is a light weight gel-like pink toned cream. The scent is GORGEOUS - a subtle fragrance of raspberries. It's marketed for sensitive skin and I do believe it lives up to the claim. The description promises to even texture and complexion whilst smoothing wrinkles. It is also paraben free which is another plus for me. With regards to the wrinkles side of things, only time will tell but I definitely believe its evened out my complexion but the main point for me is the hydration my skin was craving for. 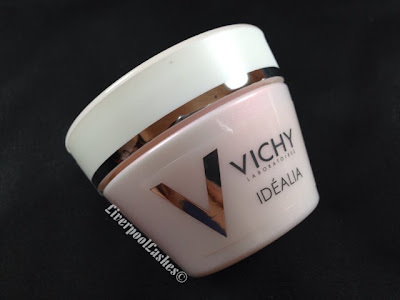 I adore this cream so much that I quickly finished my sample pot and headed straight to Boots for the full size version. If you are thinking of purchasing this please be aware that there are two types "normal to combination skin" and "dry skin" and the only way to them apart is the last line on the front of the box which I didn't initially notice. Overall - I highly recommend it and at the time of writing this post it's currently on special offer in Boots for £16.50 however I bought it on a 3 for 2 offer (full price is £22 for 50ml) so always look out for special offers.